Darrell Huckaby was camping last year on Jekyll Island in Georgia when he and his wife saw what he describes as “thousands of lights dancing in the Spanish moss” of live oak trees. Like characters in a Spielberg film, they followed the ambient glow and were surprised to discover the source: a small box stuck in the ground. 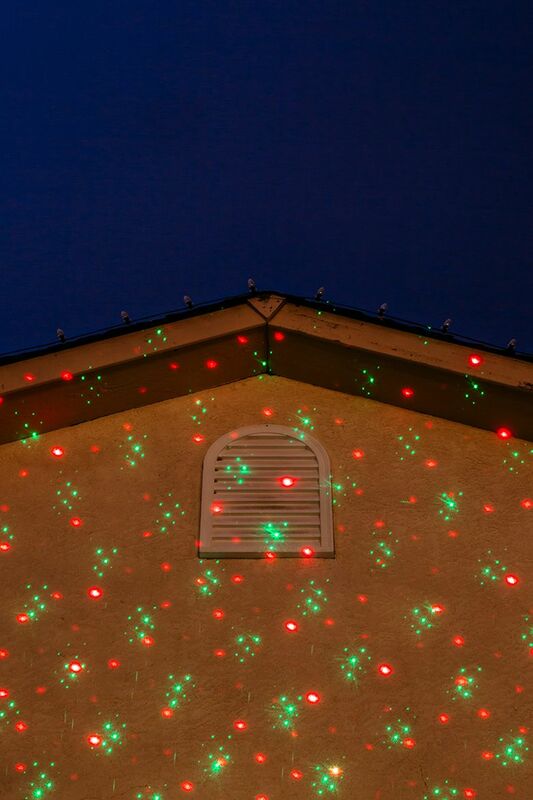 The electronic gizmo is known as Star Shower Laser Lights, and for the past two Christmases, the light projector has been a retail juggernaut, the latest craze in holiday home decorating. Indeed, Star Shower, which sells for $39.99, was such a popular item at big-box stores last December that it recalled the great Teletubbies sensation of 1997, or the Cabbage Patch Kids frenzy of the mid-1980s. Shoppers elbowed one another other to grab them off Wal-Mart and Home Depot shelves. People who were left wanting swiped them from front yards, in a rash of thefts that made local news across the country, with the inevitable Grinch references. Star Shower is made by Telebrands, the company behind those “as seen on TV” products like Doggy Steps and the Lint Lizard dryer cleaner. A.J. Khubani, the company’s founder and chief executive officer, says he first saw a similar product four years ago when his wife paid $199 for a gadget from a mail-order catalog that projected green lights onto their New Jersey house at Christmas. Star Shower is back again this year — new and improved, as they say — for $49.99. Now it’s the Star Shower Motion, with red-and-green laser stars that oscillate in a manner that recalls at least to some spectators the more powerful, high-impact lights used in nightclubs. In a true sign of its success, competitors have introduced their own versions, including the Startastic and the Star Night Laser. Jordan Pine, who runs SciMark, a consulting firm for the direct-response marketing industry, and reviews products on his blog, says Star Shower’s popularity had caught everyone, including himself, off guard. 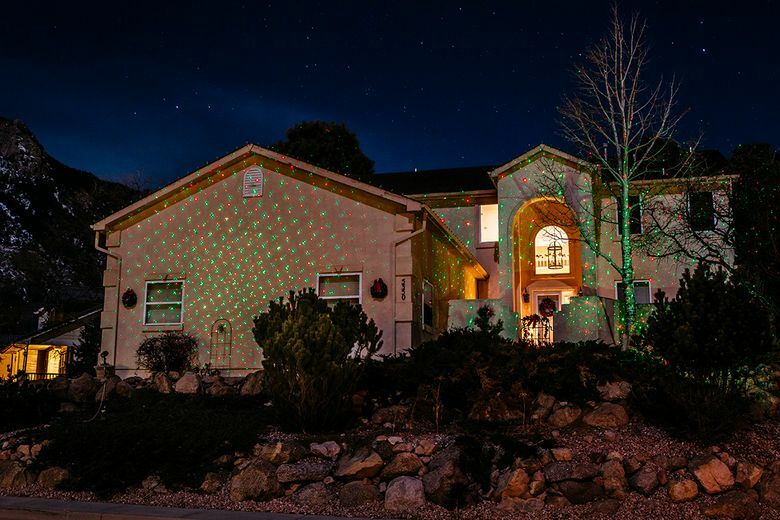 “We had thousands of lights on our house in five minutes,” says Tammy York, who runs the lifestyle website 719woman.com and bought the product last year to decorate the house she shares with her husband in Colorado Springs. The couple are using Star Shower again this Christmas. “We’re getting older, so we didn’t have to worry about injuring ourselves,” she says. One wonders if Star Shower, like the iPhone, will revolutionize and disrupt an entire industry — in this case, the Christmas industrial complex. Will string-light makers go belly-up? Should executives from the Christmas Tree Shops chain hold strategy meetings to reframe in a post-Star Shower world? So far, the old guard seems to be holding its own. Glen Bailey, the marketing director for Neave Décor, which does custom holiday decorating for homeowners in Manhattan and surrounding New York suburbs, starting around $2,500 per project, says it has been business as usual.